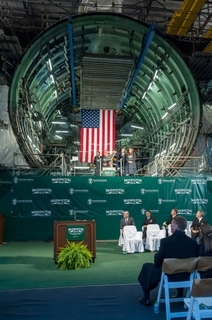 The keel-laying ceremony for the submarine Washington (SSN 787) took place Saturday in front of one of the ship’s units. 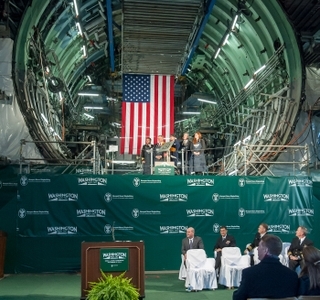 NEWPORT NEWS, Va. (Nov. 24, 2014) -- With weld shields in place and sparks flying, Newport News Shipbuilding, a division of Huntington Ingalls Industries (NYSE:HII), hosted a keel-laying ceremony Saturday for the future USS Washington (SSN 787), a Virginia-class submarine named for the Evergreen State. The submarine’s sponsor is Elisabeth Mabus, daughter of Secretary of the Navy Ray Mabus. 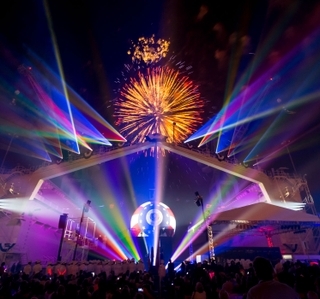 Acting as the keel authenticator, during the ceremony she chalked her initials onto a metal plate. 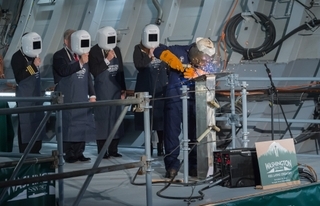 Her initials were then welded onto the plate, which will be permanently affixed to the submarine as a symbol of her relationship with the ship, its shipbuilders and crew. Other ceremony participants included Secretary Mabus, who gave the keynote speech; Vice Adm. William Hilarides, commander, Naval Sea Systems Command; Vice Adm. Michael J. Connor, commander, Submarine Forces; Matt Mulherin, president, Newport News Shipbuilding; and Jeffrey Geiger, president, General Dynamics Electric Boat. Washington will be the 14th Virginia-class submarine and the seventh to be delivered by Newport News. 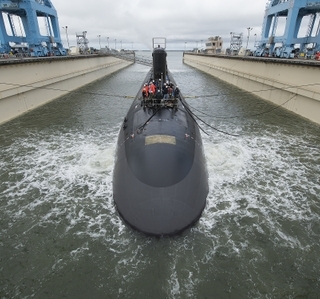 Construction began in September 2011, marking the beginning of the two-submarines-per-year build plan between Newport News and Electric Boat. The submarine is roughly 70 percent complete and is on track to complete next summer. The submarine is named for the residents of the state of Washington and their continued support of the U.S. military. Washington is home to 35 Medal of Honor recipients that span from the Civil War to the War on Terror.